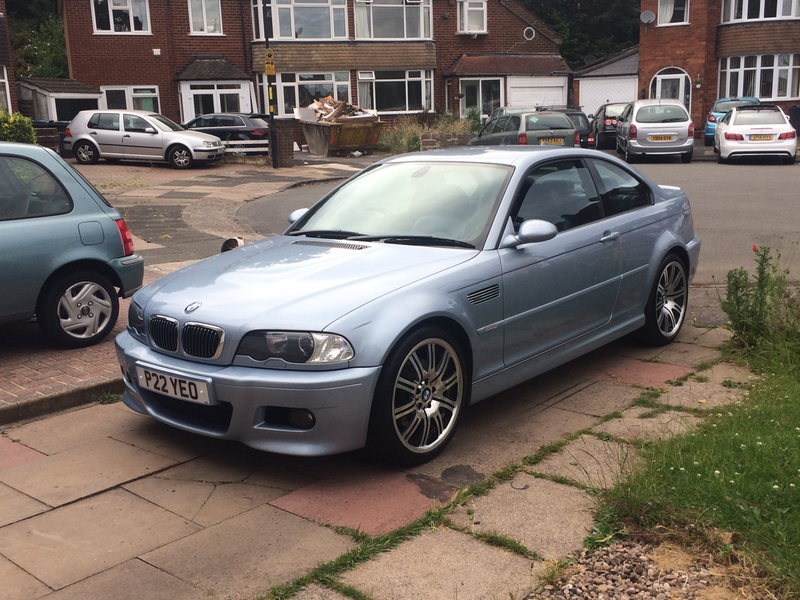 After a few months of debating, I have reluctantly decided to put my E39 M5 up for sale. One of my all-time dream cars. Owned since November 2016, I have spent almost £7k on getting it up to a decent standard. Genuinely one of the best cars I have ever owned - happy to potter around town, cruise up and down the motorway to Newcastle, sit in traffic for hours on end and then kicking it's a55 out on fast B roads. I have used this quite a lot over the last few months, and it has been an absolute gem. I have done several 800 mile round trips, and this has never missed a beat, even in the hottest of recent weather. 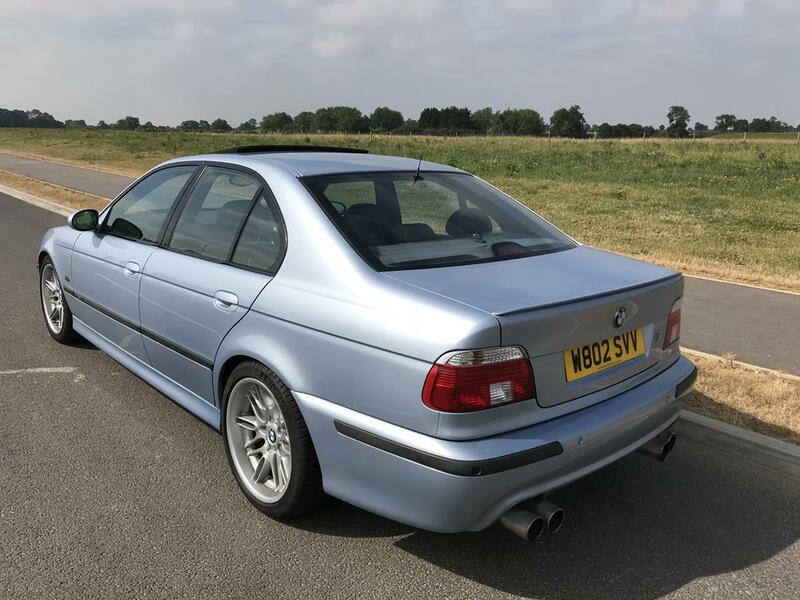 To be clear from the offset, this is not a concours garage queen to lock away - this is an E39 M5 to use and enjoy, the way BMW intended. If you want a show-winning example, then go and spend upwards of £25k on one! Shame to have these wrapped up, as they are the ultimate driver's car. Originally supplied by Wollaston Motors BMW Dealership in Northampton (my local BMW dealership when I was growing up). I even remember these being shown off outside when they were new. Full Inspection II Service in December 2017, including Engine Flush, Engine Oil & Filter, Air Filter, Fuel Filter, Spark Plugs x 8, Pollen Filter, Diff Oil, Coolant. Work completed in my ownership: Front Brake Discs, EBC Yellow Stuff Pads and Sensors, Rear Brake Discs, EBC Yellow Stuff Pads and Sensors, New Water Pump, New Alternator and Belts, New Thermostat, New Viscous Fan & Coupling, New Battery, New Front Suspension Arms x 2, Refurbished Diff, New Propshaft Bearing, Welding to Seatbelt Anchorage, Tracking, New Number Plates, New Door Handle Cable, etc. 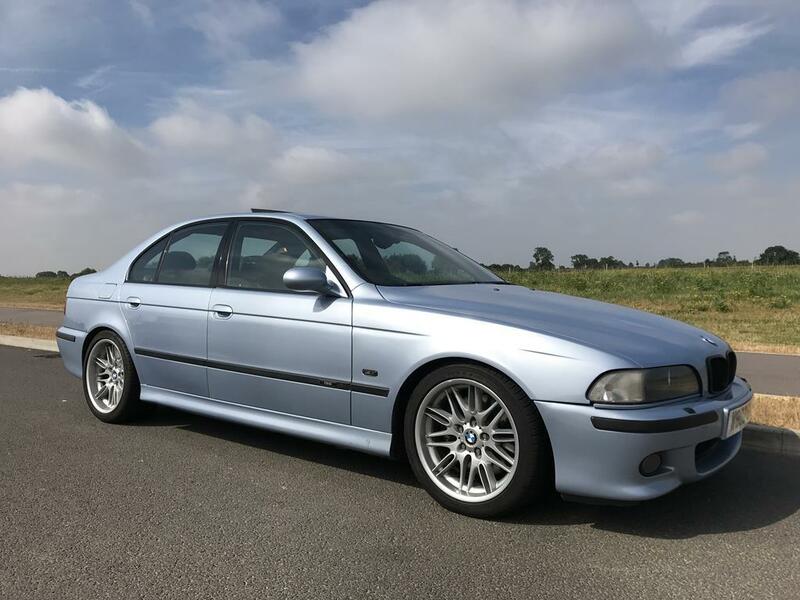 Drives spot on and how an E39 M5 should. Got some bodywork sorted whilst it was there, as the welding left some marks on the rear arch area. These are not cheap to run, but if you have one, then you want it to be running right. 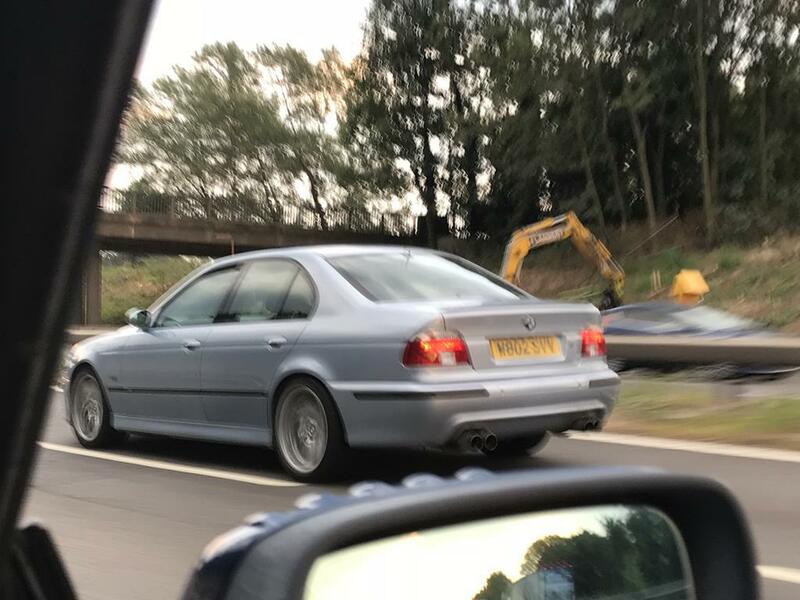 Don't buy an E39 M5 and expect to run it on a shoe string budget. 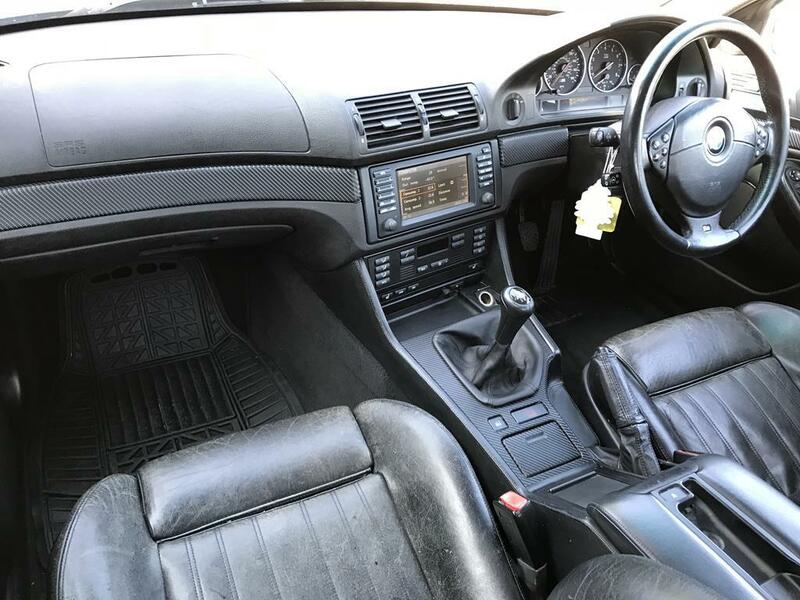 These cars are impeccably reliable, as long as they have been correctly looked after by someone who knows the cars very well. If you are thinking of getting one, make sure you know of a good independent BMW specialist (unless you are minted and love throwing money away, no point in taking these to the main dealer now!). Michelin Pilot Sport 3 Tyres All Round (fitted in mid 2017) - almost £800. 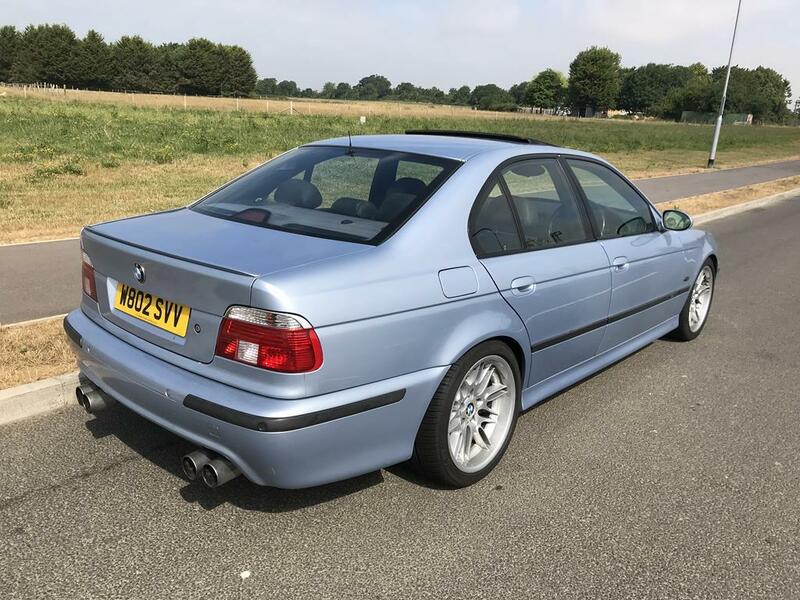 Subtle modifications include: Eibach Lowering Springs (originals included in sale), SuperSprint Exhaust Back Boxes (original exhaust boxes included), AC Schnitzer Short Shift Kit, Carbon Fibre Wrap Interior Trim (looks much better than the old man wood, especially when in an M5). All of these modifications can be removed, and as mentioned, I have most parts with the car to put it back to OEM. The suspension upgrades really improve the handling, but not too bumpy and the car feels very well composed. The rear exhaust boxes definitely open up the S62 engine, without droning. 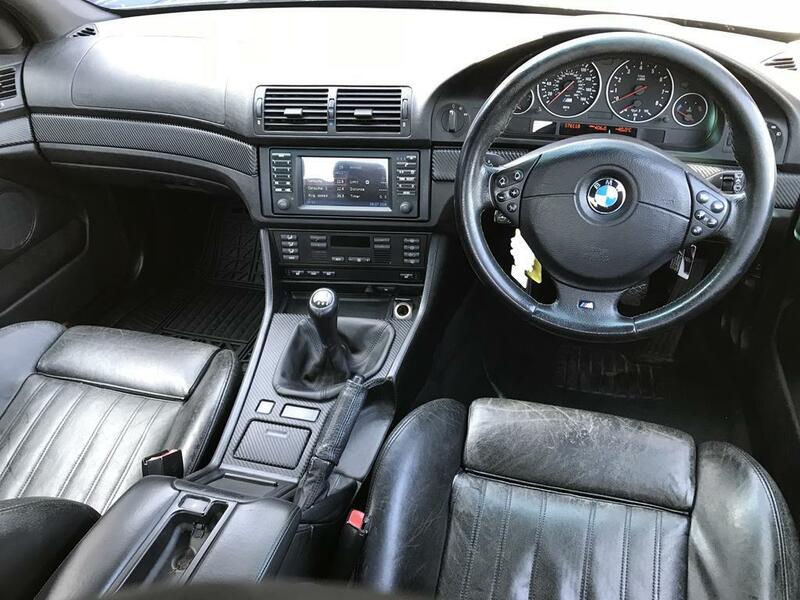 The short shift gear selector takes a little while getting used to, but once you are acquainted with it, you won't won't the normal long throw between the M5's gears. The engine in this car is sublime, and these are last of the naturally aspirated, manual-gearbox M5s. A proper driver's car. Yes the V10 may be quicker, but they are riddled with problems. An F10 M5 is stupid fast but twin turbos just seem to tame the car a little. 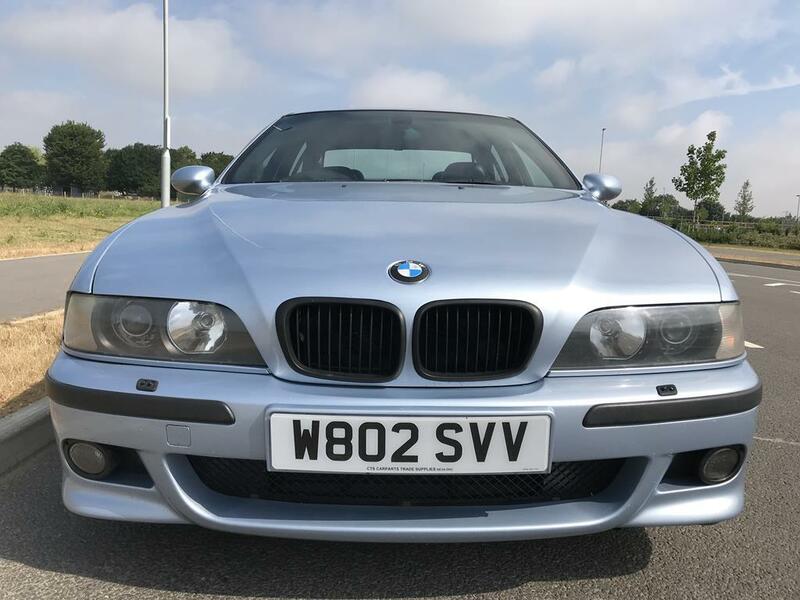 In decent condition for the year and miles, and not your usual E39 rot box. However, she isn't mint: marks, blemishes and stone chips as to be expected. A few rust bubbles appearing on the bottom of the doors and rear arches, but these are not structural and just surface rust. Easily rectified. The boot lid, fuel filler cap and sills are rust free. Boot lid has a few marks on there. Wheels could do with a refurb if you want perfection, but are still presentable as they are. It still get attention and thumbs up from those in the know! 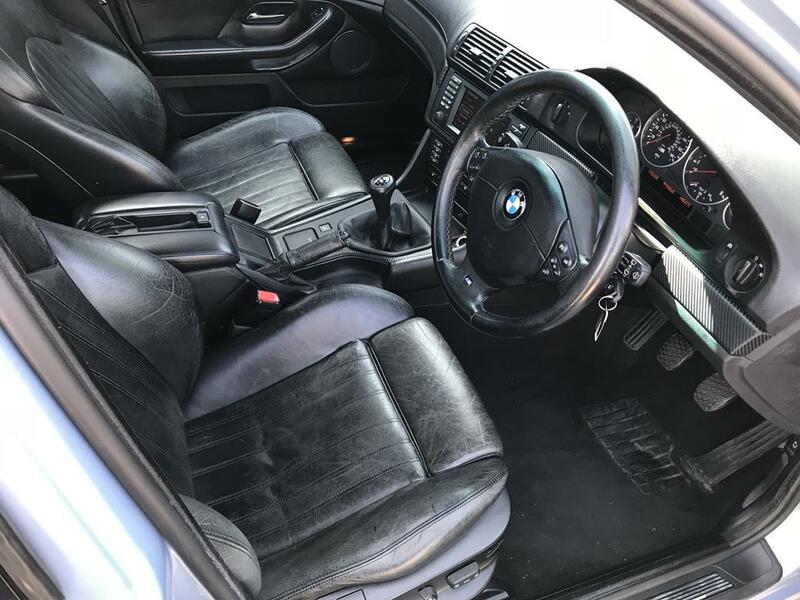 Interior is solid, as to be expected for an E39. When you sit in this car, despite the miles, you truly appreciate the level of quality and engineering that went into their design. Sit in an F10 M5 and see how flimsy and cheap they feel in comparison! 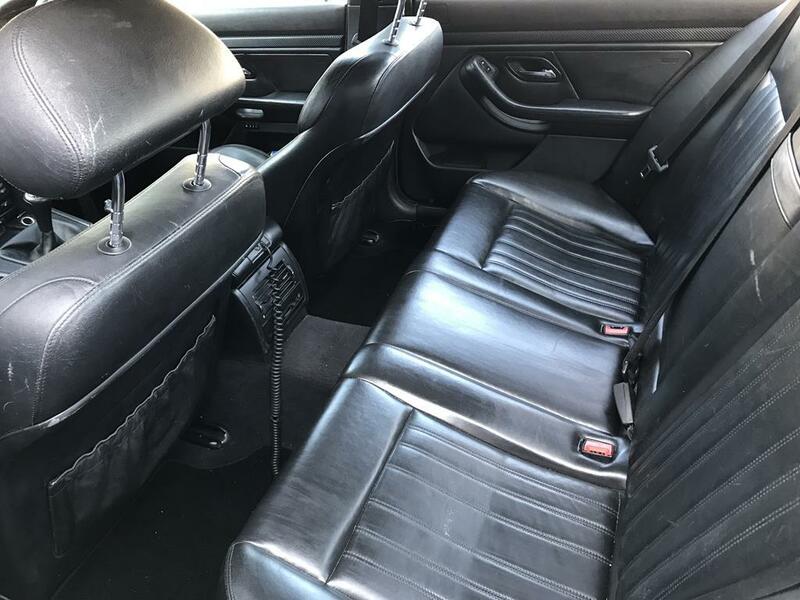 The seats would benefit from a good, deep leather feed and the driver's seat base has a tear appearing. Again, these are cosmetic and don't affect the form or function at all. The EBC Yellow Stuff brake pads have eaten into the brake discs under heavy braking (common with these pads), hence the discs have a slight vibration when braking at certain speeds (you can get the discs skimmed). Brakes work perfectly fine, but just being honest and mentioning the vibration. Parking sensors not working, and a new sensor is required (gives the continuous beep when you engage reverse). 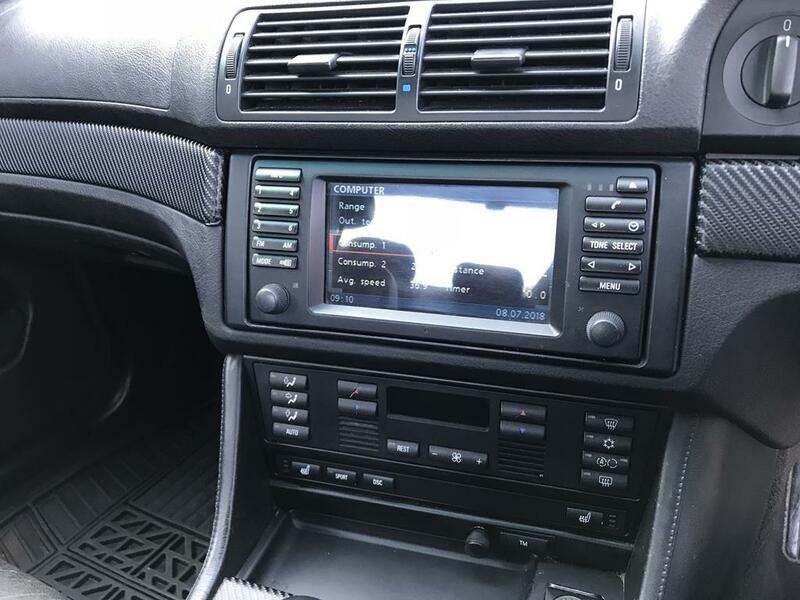 Sat Nav doesn't work and there are pixels missing from the screen. Apart from the above, everything else works as it should and there are currently no warning lights on the dash. This is a phenomenal car to drive, it pulls well and hard in every gear, with no hesitation or power loss. Never fails to bring a smile to your face! Truly a super saloon that can be used (and is used) daily, including long distance commutes for my job. Yes, you might pick one up for £7.5k, but you will end up spending similar money getting it up to standard. A genuine water pump is almost £700, alternator is over £500 and a set of decent tyres will cost you over £750. Everything adds up, but at least with this one, I have had all of that work done. 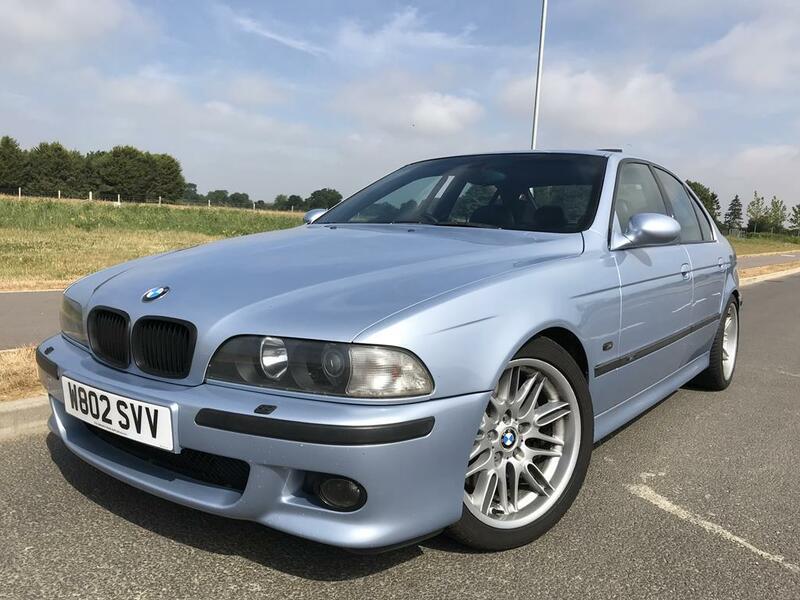 Again, you are paying a higher price here for a mechanically decent E39 M5. Put some money into the bodywork over time, and you'll have yourself a car that's only going to rise in value. 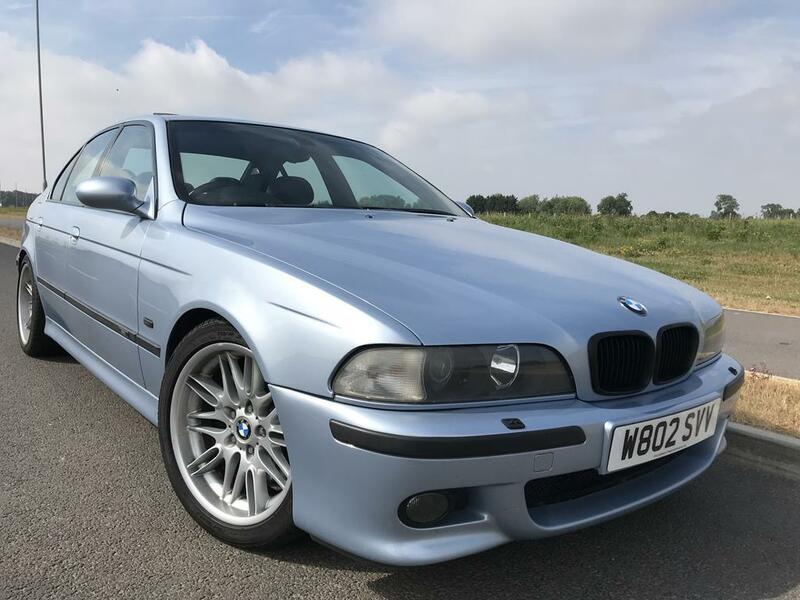 I genuinely believe that towards the end of this year, examples like this will be knocking on almost £15k, and the worst examples will be near the £10k mark (just look at how much a shabby E34 M5 commands these days!). 4 years ago you could pick these up for less than £5k - now an engine sells for more than that! 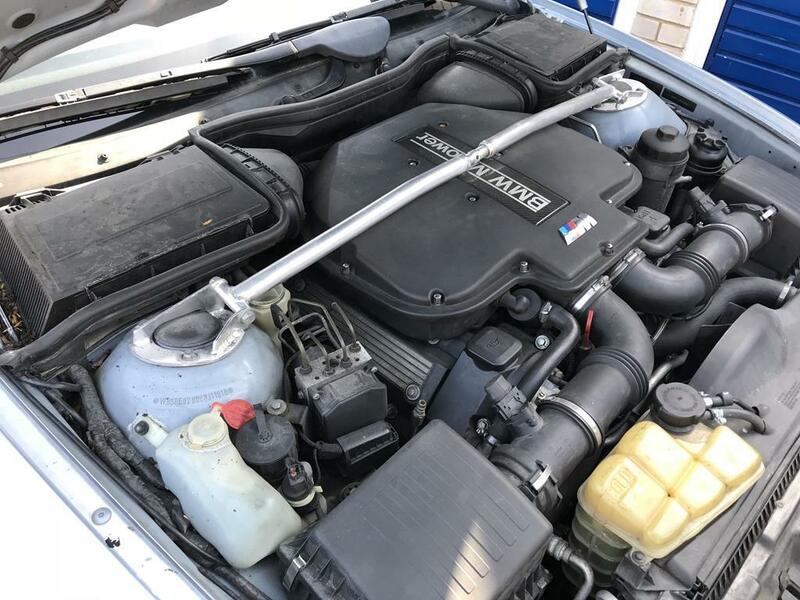 A ropey E28 M535i that needs several grand spent on it is over £8k nowadays! Grab one before they all disappear and get snapped up by collectors. £30k value in 5 years is perfectly safe assumption in my opinion. 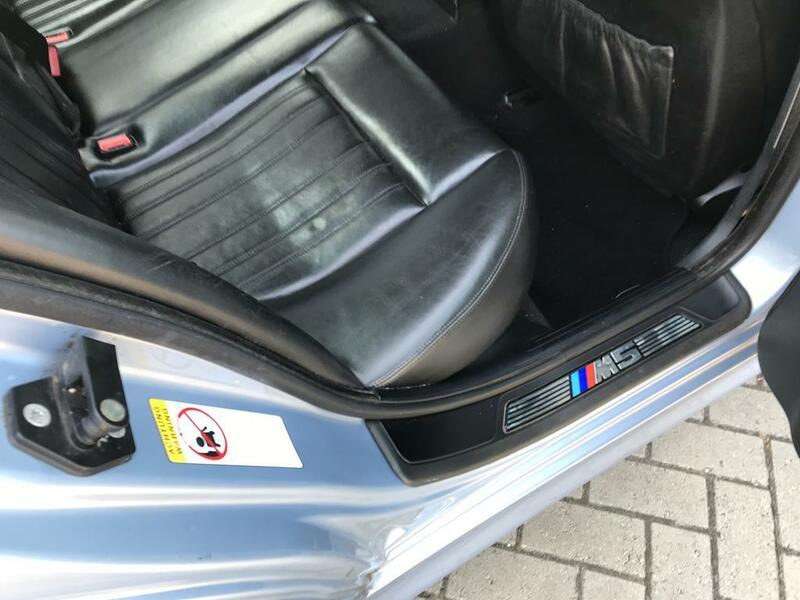 I would really like to see this go to a fellow enthusiast who will keep the car in good upkeep, perhaps even improve on what I have done with it). 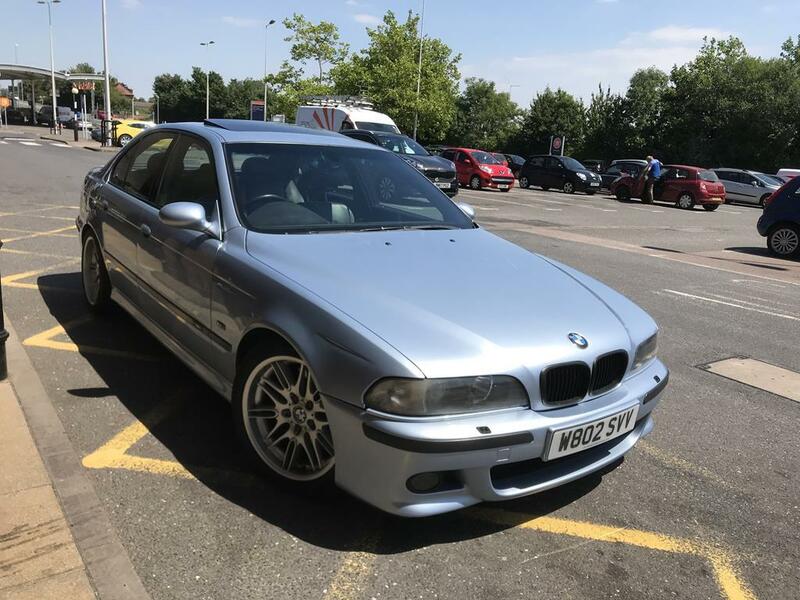 Comes with: 1 x Remote Key Fob, BMW Folders, M5 User Manuals, Lots of Bills, Receipts and Invoices, Tracker Certificate, Original Exhausts, Original Suspension Springs, MOT Certificates, etc. 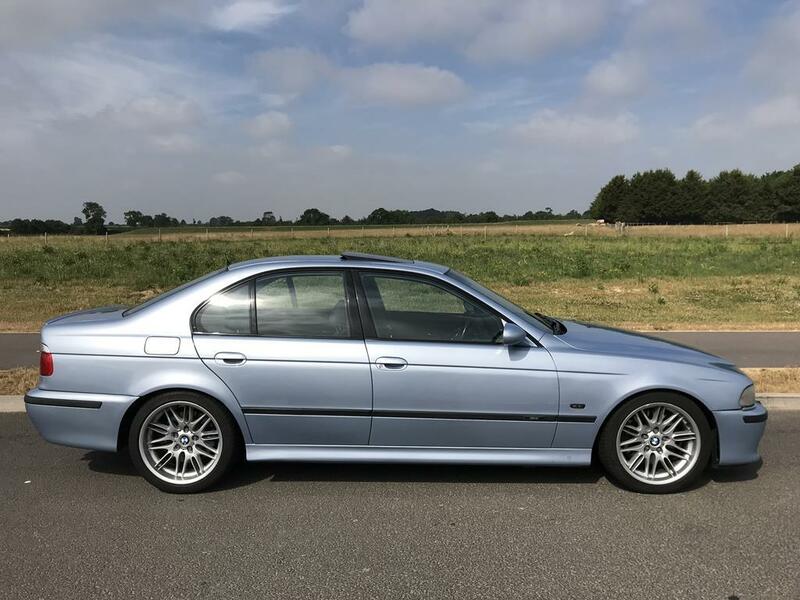 Sensible, near-offers will be considered, but I will not be giving the car away - it owes me well over £14k with what I have spent on it. 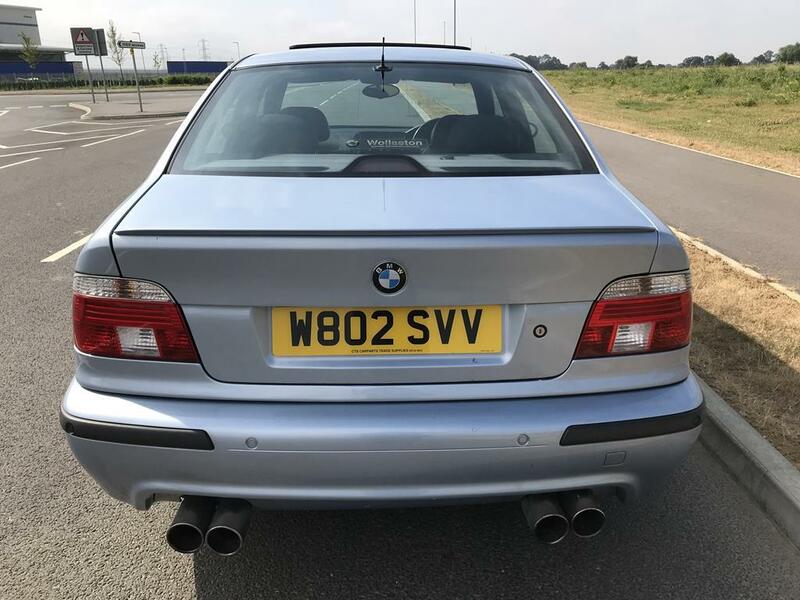 If I don't get close to what I am after, I'll just keep it and enjoy using the M5 (then get more money for it next year!). Car for now is located at my parent's place in Wellingborough, Northants, NN8 post code. My number is 07984 395400 - feel free to call me for a good chat about the car or for any general information. Very well written ad. I'm not even a BMW fan and I'm excited to see the pictures. 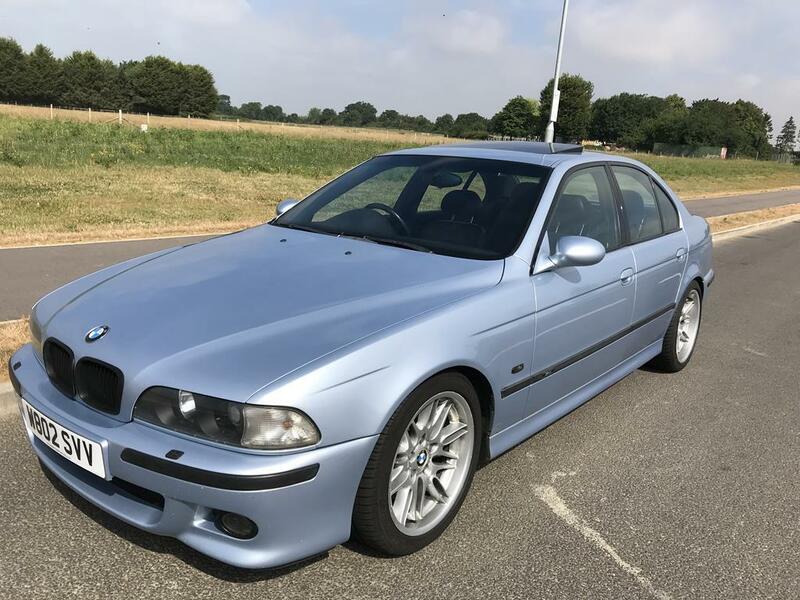 I’ve got a Silverstone blue e46 m3. It’s a special colour. 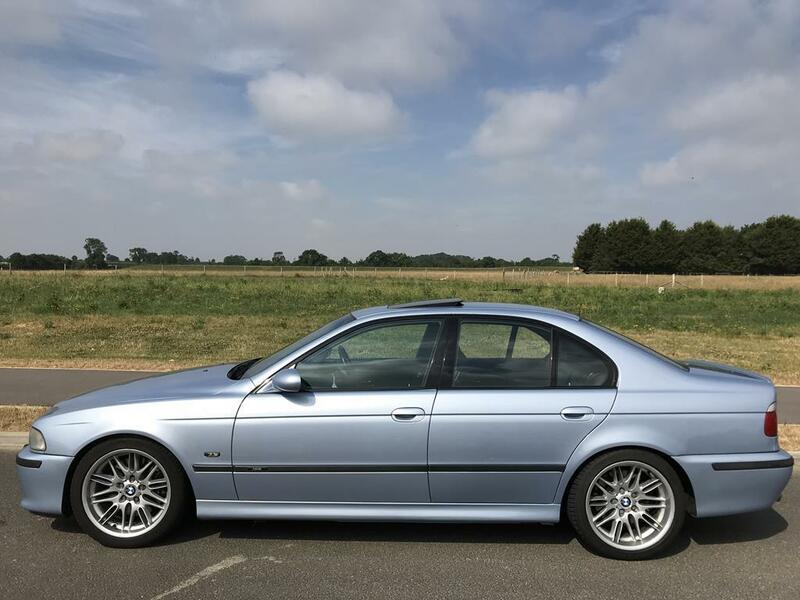 Thank you - She isn't a garage queen as already mentioned, but an M5 that can be properly used and enjoyed. In an E46 M3, that would be an individual then? Look lovely in that car. More photos will be uploaded this evening. Apologies, didn't get the chance to upload the photos this evening. Hopefully be up by tomorrow evening. Thanks. Yes they made 50 special edition cars, I would post a pic but don’t want to clog up your thread too much. Go for it mate, I'm sure people who are interested in these types of cars will appreciate it! On the way back from Blackburn yesterday - 400 round trip in the hottest of weather without missing a beat. Your m5 looks in great shape. Hopefully it will go to a good home. It would look good next to mine but I would defiantly be in trouble. That's a good looking M3. Is this the one that's parked in a certain new estate in Shinfield? If so this car looks like it's been well cared for. Shame I won't get to see it anymore. Haha, yes that's the one! I will miss driving it, but sometimes you just have to make those painful decisions which you regret later in life!